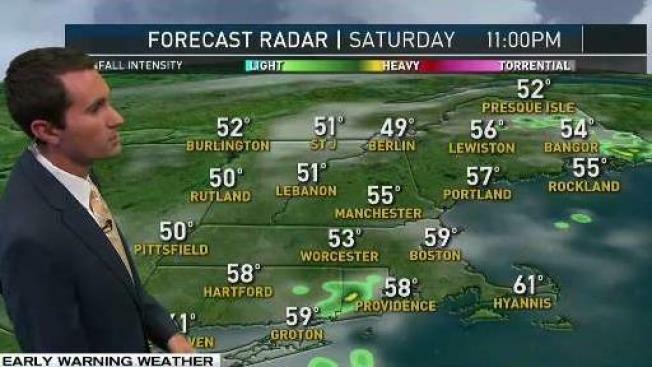 The weather across New England will remain fairly constant for the second half of the weekend, with another chilly morning followed by a cool afternoon. Lows will start off in the 40s and 50s, with 60s and low 70s during the afternoon on Sunday. We’ll again start sunny, but clouds will bubble up during the afternoon and a few spot showers will develop too. Most places will stay dry though. Showers will fizzle after midnight with plenty of sun back in the forecast for the early part of the week. By then temperatures will boost into the 70s and around 80 as high pressure scoots to our east. Eventually a few clouds and maybe a couple of showers, associated with the remnants of Irma, will approach for mid-week. By then the storm will be nothing more than a hint of what it is now—a major hurricane bearing down on Florida. Impacts will be most severe in the Florida Keys and along the state’s west coast.